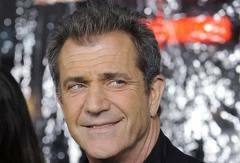 Mel Gibson is to produce a film about the life of Judah Maccabee, a 2nd century before Christ Jewish hero. Gibson’s film outfit is working on a deal with Warner Bros. to develop the movie through his company, Icon Productions. It hasn’t been determined Gibson’s role in the film. But Gibson’s involvement in bringing Maccabee’s story to the screen at any capacity has earned him displeasure and criticism by some Jewish leaders because of his public anti-Semitic tirade against the Jews in 2006. Maccabee, who’s acclaimed as one of the greatest warriors in Jewish history, helped inspire the celebration of Hanukkah, a Jewish holiday. Abraham Foxman, national director of the Anti-Defamation League, is hoping that Warner Bros. could have found someone better than Gibson to direct or perhaps even star in a film on the life of the Jewish historical icon Judah Maccabee. According to Rabbi Marvin Hier, dean and founder of the Simon Wiesenthal Center, casting Gibson as a director or the star of the film about Judah Maccabee is simply an insult to the Jews. The ‘Braveheart’ director’s drunk driving arrest in Malibu in 2006 and his tirade against the Jews made headlines around the world, where he later publicly apologized. Warner Bros. had not responded on the negative reaction it has drawn from the incoming project.